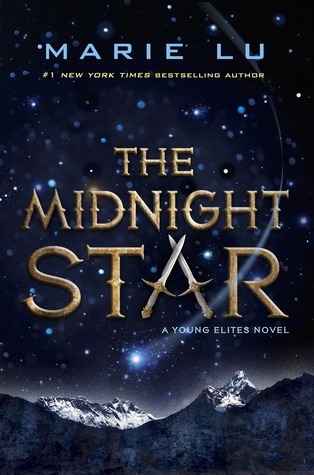 It's not often that the third and final book in a trilogy is the best one, but that is most definitely the case with The Midnight Star! I loved absolutely every second of it. Adelina is such an intriguing character and even though she has a seriously dark side to her, I found myself really liking her and relating to her. Lu takes the reader on a different path than the first two books and the characters are forced on a journey that I really wasn't expecting. The Midnight Star is filled with action packed scenes from start to finish and I found it incredibly hard to put down. There were a few portions of the novel that seemed slightly rushed and I felt that they could have been fleshed out more, but that was really the only tiny complaint I had with the novel. I thoroughly enjoyed reading The Midnight Star and look forward to eating up more of Lu's writing as soon as it hits the shelves! I would highly recommend this series to all lovers of YA fantasy. It is a thrilling and complex trilogy different from any others that I've picked up.